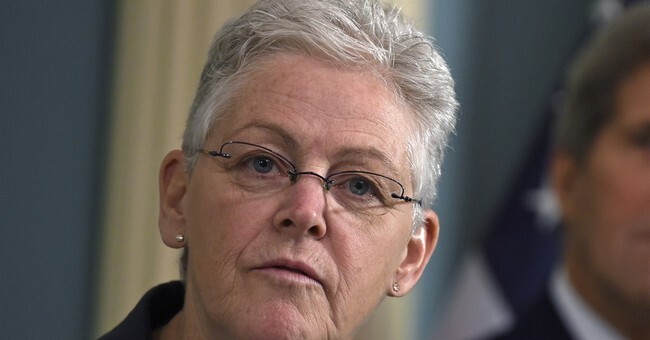 EPA’s not so forgiving when it comes to private property owners that run afoul of its commands. Take Andy Johnson, for instance. He’s a small property owner from Wyoming, who created a pond on his 8-acre property to provide water for his livestock. In stark contrast to EPA’s massive spill, Andy’s activities benefit the environment. Wetlands and riparian vegetation sprang up around it. It provides scarce rich habitat for fish and an important water source for wildlife, including bald eagles. If that wasn’t enough, the pond also purifies water that passes through it, by removing sediment and other pollutants. It’s a true win-win; the pond serves Andy’s livestock and improves the environment. How do you think the agency responsible for that massive spill responded to the creation of this new pond? It issued a compliance order accusing Andy of violating the Clean Water Act and threatened him with nearly $40,000 per day in fines if he doesn’t rip out the pond and bend to EPA’s will. Andy’s offense: he did this work on his private property without first getting permission from federal bureaucrats. Mind you, state and local government approved the pond and verified its benefits. This absurdity is only compounded when you consider that the Clean Water Act expressly exempts the creation of stock ponds from its incredibly broad sweep. But EPA’s lack of authority here didn’t stop it from threatening Andy with ruinous fines either. Andy has spent the last year and a half trying to make sense of EPA’s actions and explain to it why his pond isn’t in violation. Unsurprisingly, this has fallen on deaf ears. Finally, on August 27th, Andy filed a lawsuit challenging EPA’s unlawful actions. His suit contends that his activities are expressly exempt from the Clean Water Act and the compliance order, with its threat of ruinous fines, is illegal. During the year and a half since the issuance of the compliance order, that fine has already grown to nearly $20 million. And it grows more with every passing day. Andy is just like you and me. He’s a welder with a family to support. Their small property is their little piece of the American dream. Needless to say, a $20 million fine would devastate him and his family. Imagine how much pressure such an incredible threat would put on you to capitulate to the government’s demands, even if you’d done nothing wrong. Think this can’t happen to you? Think again because this is a concern you just might face. EPA recently issued a rule that will greatly expand its power to enforce the Clean Water Act on all of the nation’s waters and much of its dry land. Nearly anyone could become subject to such abusive threats for innocent activities on their own private property under the new rule. If you have any place on your property that holds water or channels runoff, you’re at risk. All of this highlights EPA’s lack of reasonable priorities. The Clean Water Act was enacted for a laudable purpose—to regulate the discharge of pollution into the country’s major rivers. It makes no sense to use a law about promoting water purity to go after someone whose activities further that goal. But equally true, it makes no sense when the agency’s limited resources could be better used to clean up its own disastrous mess. Why target an innocent landowner who’s benefiting the very same environmental goods you’re supposed to protect? The only plausible reason is power. The recently adopted rule expanding EPA’s jurisdiction demonstrates that it has a capacious appetite for control over how people use their private property. Andy Johnson’s case is just the latest stark example of that.